The beginning of the New Year always seems to mark goals that include eating better and limiting our fat intake. But can Fat Free still deliver a great taste? Well if you are a coffer lover, you can enjoy all the great taste of BAILEYS Coffee Creamers in new Fat Free versions. Whether it’s starting the day, taking an afternoon break or capping off a meal, Fat Free BAILEYS® Coffee Creamers are a delicious way to flavor your coffee while treating yourself to the same experience as a decadent dessert. BAILEYS® Coffee Creamers are non-alcoholic flavored coffee creamers, with all the quality and taste for which BAILEYS is known. BAILEYS Coffee Creamers are lactose free, and can be enjoyed by individuals with lactose intolerance. And now, Fat Free BAILEYS® Coffee Creamers are available in The Original Irish Cream and French Vanilla flavors. In addition to fat free offerings, BAILEYS® Coffee Creamers are available in seven delicious original flavors including French Vanilla, Hazelnut, The Original Irish Cream, Caramel, Crème Brulee, Toffee Almond Cream and Chocolate. The two new fat free varieties of BAILEYS® Coffee Creamers can be purchased in quart or pint size bottles, with all original flavors available by the pint and French Vanilla, Hazelnut and The Original Irish Cream also available in a quart size. All BAILEYS® Coffee Creamers can be found in the refrigerated creamer section nationwide at Wal-Mart and in major regional retailers such as Meijer’s in Michigan. Want to try BAILEYS® Coffee Creamers for yourself? For a limited time, you can use the following link to get a coupon for $0.55 off any one Baileys Coffee Creamers. NOTE: The coupon must be used with Internet Explorer (IE) Browser for it to be printed. 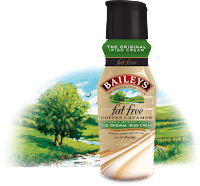 Two FREEISMYLIFE readers will each win two FREE product coupons to they can try out the new fat free BAILEYS® Coffee Creamers - a $10 value - HOLLA to the FREE! - The contest ends on Monday, February 13, 2011 at 11:59am EST. - Prizes will be fulfilled to the two winners by BAILEYS® or their PR company. 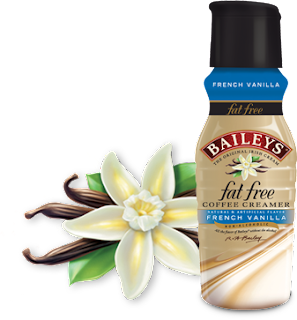 - You can get 1 extra giveaway entry for tweeting the following message on Twitter " I entered the BAILEYS® Fat Free Coffee Creamers GIVEAWAY on @freeismylife http://bit.ly/zbLAkf "
Disclosure: I was given complementary BAILEYS® Coffee Creamers coupons so I could try out the product. BAILEYS® or their PR company is supplying the prizes for this giveaway. Random.org has spoken. Out of 193 entries, Random.org has picked #123. Congratulations to the winner of the $10 in Baileys Coffee Creamer FREE Product coupons: Meredith of Bethesda, MD !!! !